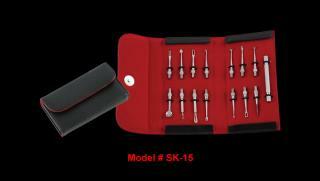 This salon set comprises of 14 beauty metal implements used by estheticians to carry out their professional work. These tools are used for the removal of black head and white heads. Available at an excellent price at The Shears Depot.